MainAll NewsRadioZachor: Why do we really need to remember these days? Zachor: Why do we really need to remember these days? Torah Tidbits Audio featuring 7 Adar, Moshe’s birthday and yahrzeit, the absence of his name from T’tzaveh. The ZACHOR-PURIM connection is well known. The Torah commands us (at the end of Parshat Ki Teitzei) to Remember what Amalek did on our way out of Egypt. Essentially, the mitzvot to Remember and the other-side-of-the- coin prohibition of LO TISHKACH, do not forget, are not timed. LO TISHKACH is really an always-mitzva. ZACHOR can be every day, once in a while, once a year, (even once in a lifetime) - and it is not specific to any time of the year. Our Sages made the connection between ZACHOR and Purim because Haman was a descendant of Amalek. So they legislated that the formal mitzva of ZACHOR should be performed once a year, on the Shabbat before Purim, with the public reading from the Torah of the last three p'sukim of Ki Teitzei, that contain the commands of Zachor and Lo Tishkach, as well as the mitzva of TIMCHEH, to wipe out Amalek. As already said, the connection to Purim is obvious and strong. But we're looking at a connection to Taanit Esther. To find it, we need to look at two things - why is there a fast day before Purim, and a different aspect of the mitzva of Zachor. First things first. Yes, Esther asked Mordechai to gather the Jews of Shushan that they should fast (and pray) so she might succeed in her approach to Achashveirosh. Taanit Esther certainly commemorates that, and is named for that - but it isn't necessarily the reason we fast. Yes, the people would fast (and pray) when they fought against their enemies, and that idea works to explain fasting on Erev Purim. But there is more. Purim is the celebration of our being saved from the plot of Haman (and Achashveirosh) to destroy the Jewish People. Our fate turned favorably from what it might have been. V'NAHAFOCH HU. We had Light and Joy and Happiness... when things had looked quite dark. However, there is a nagging issue that has the potential to spoil some of the Purim Joy. The question is, How did we fall under the threat of Haman's plot? Why were the Jews of the Persian kingdom subjected to mortal fear for almost a whole year? Something to give some serious thought to. But not on Purim day. Chazal wisely did not want us to spoil the festive mood and the feelings of gratitude to HKB"H who was the silent partner of Mordechai and Esther in bringing about our salvation. Purim also celebrates our recommitment - this time, joyously - to Torah and Mitzvot. Chazal didn't want to take away from the multiple-joy of Purim. So they made Taanit Esther. That's the day to examine what the Jews did wrong way back then. And - sadly - a day to reflect on what we still do wrong to become targets of threats and rockets and stones and more, from today's various Hamans. Part of Taanit Esther is to lead us to serious introspection. Part is to effect a TIKUN (repair) of the improper eating and drinking - by fasting, by neither eating nor drinking. [It is important to point out that Purim's eating and drinking - L'SHEIM MITZVA - is also a TIKUN for the same behavior. Which brings us back to the mitzva of ZACHOR. Remember what Amalek did - check. Remember that there is a perpetual battle against Amalek-types throughout the generations - check. Remember how we are to feel towards Amalek and his ilk - check. Remember that we are commanded to wipe out the memory of Amalek (when the opportunity will present itself - check. He points out that the original episode of the first attack by Amalek (last nine p'sukim of B'shalach - the Torah reading of Purim morning) follows the various complaints of the people about water and food, which resulted in miraculous water sources and the Manna, but which also demonstrated a lack of proper faith and trust in G-d. Why didn't you leave us in Egypt? Whyd you take us into the Midbar to kill us? Don't leave over the Manna for the next day. Some did leave over. Don't go out on Shabbat to collect Manna. Some did. G-d provided for them, but He was 'angry' (so to speak). That was the background to the battle with Amalek - at a place called REFIDIM, a name which commentaries say indicates that our hold on Torah and Mitzvot was weak- ened by lack of faith and trust. This, says the Chareidim, is what we (also) have to remember. Then he points to the passage right before the Zachor parsha in Ki Teitzei - the prohibition against (even) possessing false weights and measures, and the command to have only honest weights and measures. Violate that and you know what can be the consequences? Amalek. Remember that. Get the connection to Taanit Esther? We need to fulfill ZACHOR by some serious introspection as to why Amalek 'happens' to us. And the Chareidim goes a bit further. Look at what follows Parshat Zachor - coming into Eretz Yisrael and the mitzva of Bikurim. 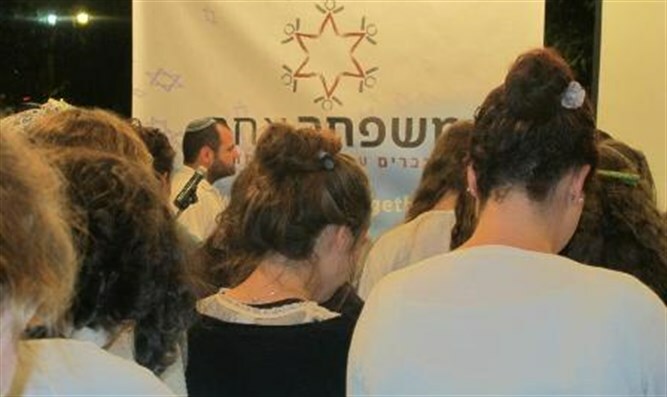 Bikurim is not just one of the mitzvot that are connected to Eretz Yisrael. It is THE mitzva that defies the lack of faith demonstrated by the Meraglim and the people who were panicked by them. It is the mitzva that has us say to G-d how thrilled we are to be in Eretz Yisrael and to benefit from all that G-d provides. It is the mitzva that includes our rejoicing and being happy with our Torah way of life. All of the above is part of what we need to remember in fulfillment of ZACHOR. And this is not just a once-a-year task. The Chareidim adds that every mitzva that we do and every prohibition that we abstain from should include the memory of the perpetual battles against Amalek, Hashem'[s partnering with us against Amalek, and what we need to do to nurture that partnership and stay faithful and trusting of HKB"H.